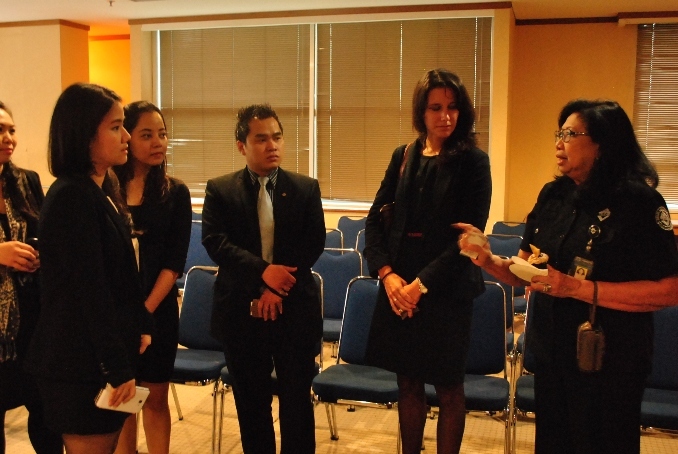 The Media Hotel Visit to Bisnis Indonesia. 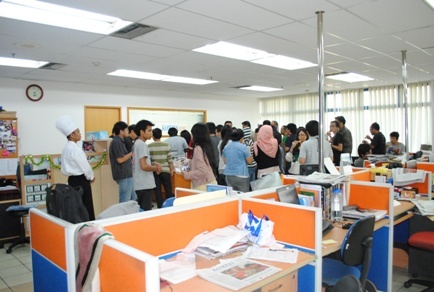 The Media Hotel & Towers has recently conducted Media Familiarization Visit to editorial office of Bisnis Indonesia or well one of the predominant national daily newspaper in Jakarta. The visit aims at establishing strong relationship between the hotel as part or tourism industry with mass media industry. 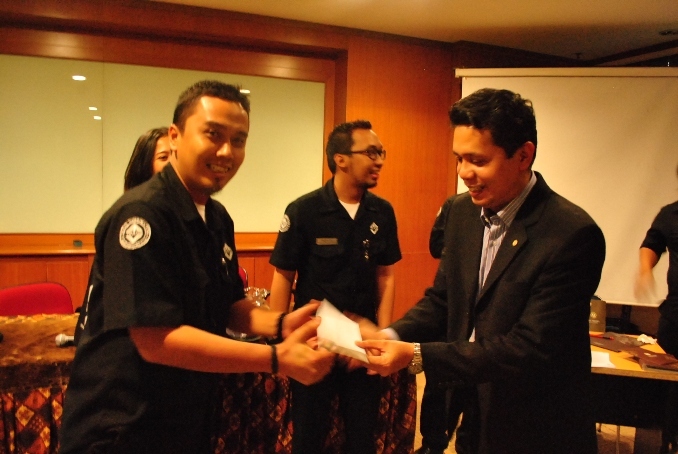 It’s was really fun because we were welcomed warmly by Bisnis Indonesia. In This commemorate Our arrival was greeted by the Director of production and product development ahmad djohar, executive editor Purboyo, and Sarwani as English version editor. warm atmosphere among fellow journalists was blend with The Media Hotel team. 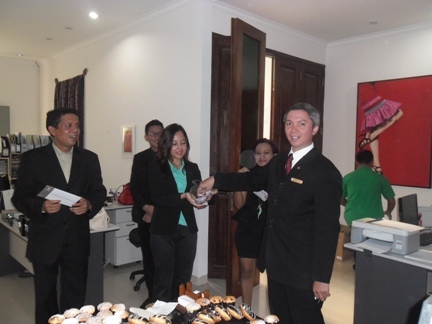 The Media Hotel team that was presented by Mr. Algamar Idris as General Manager, Mr. Agus Rojali as HR Director, Mr. Joezar Rinaldi as Director of Rooms, and also Marcomm team were pleased to share the opportunity by giving vouchers as door prize for Bisnis Indonesia colleagues. 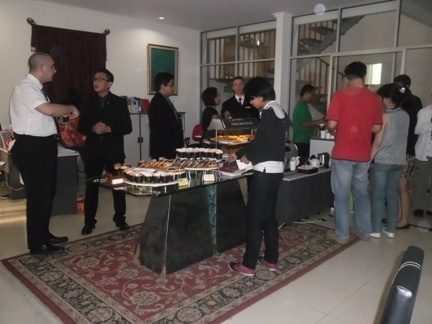 The media hotel team are very grateful for the hospitality given by the Bisnis indonesia colleagues. We hope this visit will make good relations, with Bisnis Indonesia not only as a business partnership , but also as a partner friendship. The Media Hotel & Towers again Has Recently visited the editorial office of NOW! Jakarta Magazine at Kemang, South Jakarta. It was part of massive media relations activities with the aim of building and maintaining relationship with media companies in Jakarta. The Media Hotel & Towers team represented by General Manager, Director of Rooms, Director of Human Resources, Director of Food & Beverage and also PR team was welcomed nicely and introduced to the team of NOW Jakarta, the editor, art director, sales & marketing team as well as the owner of NOW! Jakarta. 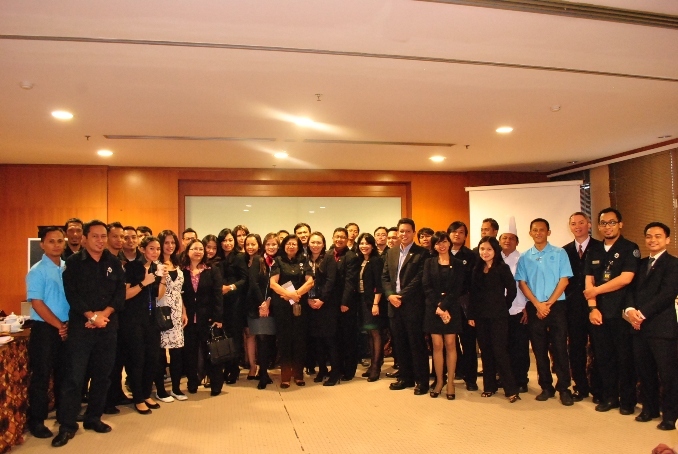 In this opportunity, The Media Hotel & Towers brought its Food & Beverage team to pamper NOW! 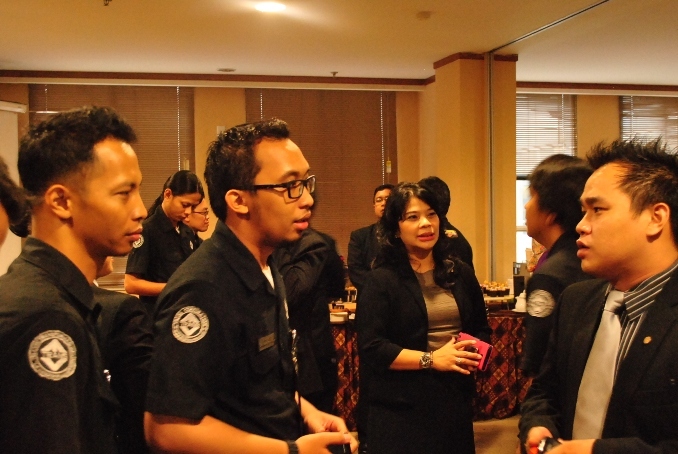 Jakarta team with a coffee break. 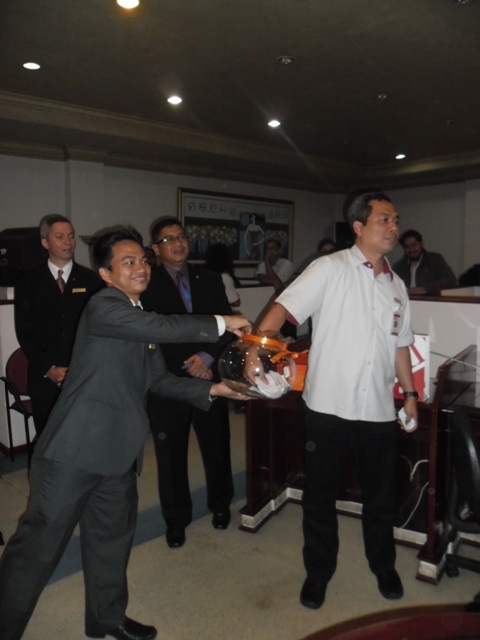 Raffle draws to win stay and dining vouchers gave additional thrills to the event. “This visit is a form of our appreciation to mass media companies, We hope we have strong, good and long-term relationship with the mass media, who have been supporting tourism and hotel industry”, said Algamar Idris General Manager The Media Hotel & Towers. 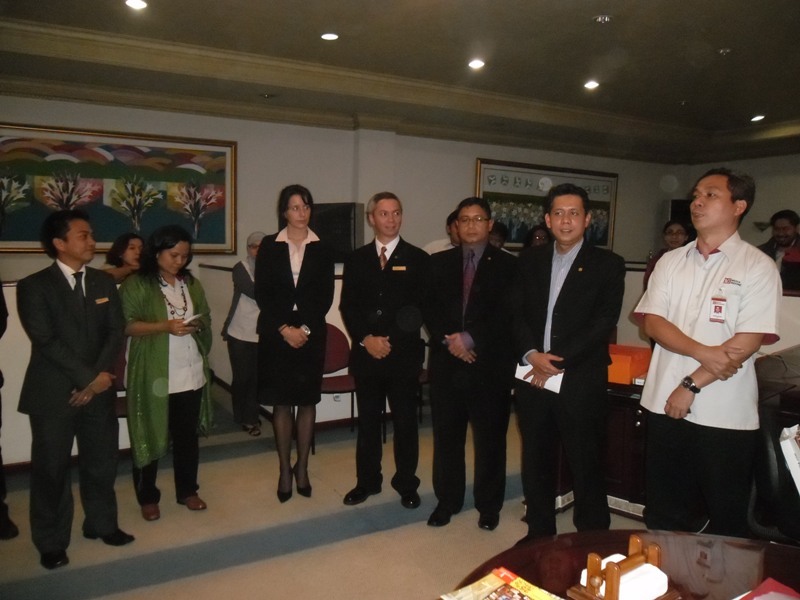 Seen in the pictures, activities during the Media Familiarization Visit. 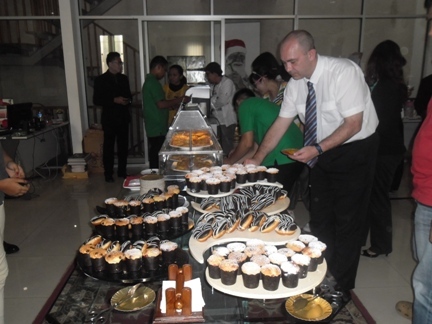 Ian Denny – T.A Business Development went enjoy afternoon coffee break courtesy by The Media Hotel & Towers. Here we go again, this time, we were so happy to have the opportunity to visit Trans TV (PT. Televisi Transformasi Indonesia) the television networks in Indonesia. The warmth welcome presented by Marketing Public Relations Team and The Media Hotel & Towers team was introduced to key persons in other divisions such as News, General Affairs, Human Resources, Production, Procurement, and Sponsorship. 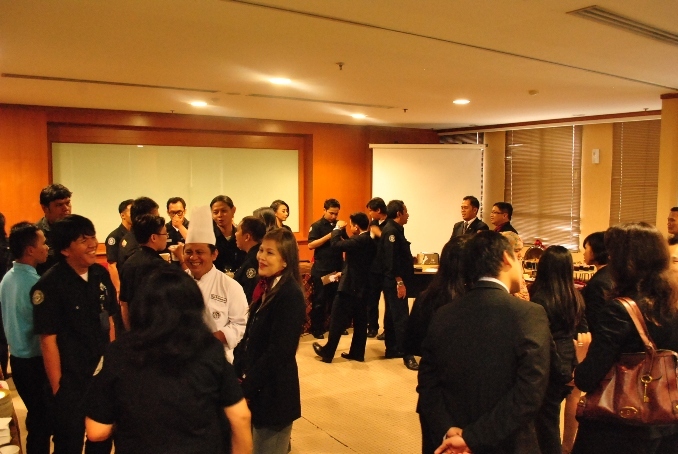 This time, The Media Hotel & Towers brought its Food & Beverage team to pamper the media company with a coffee break. 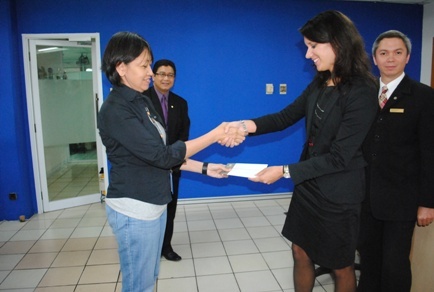 Raffle draws to win stay and dining vouchers gave additional thrills to the event. “Well, we are glad to welcome leadership team of The Media Hotel & Towers, with nice coffee break and true hospitality during their visit to our office,” said Meirina Anggraini of Corporate Service Division at Trans TV. Before leaving the television company, we were taken on tour to see their editorial offices and to visit each tv studio. Everyone from The Media Hotel & Towers enjoyed the tour and learned lots of new things in the field of broadcasting journalism. Another Madia Fam Visit successfully arranged by The Media Hotel & Towers recently. This time, associates and leadership team members of The Media Hotel visited editorial office of PT. Kompas Cyber Media located in Palmerah, South Jakarta. 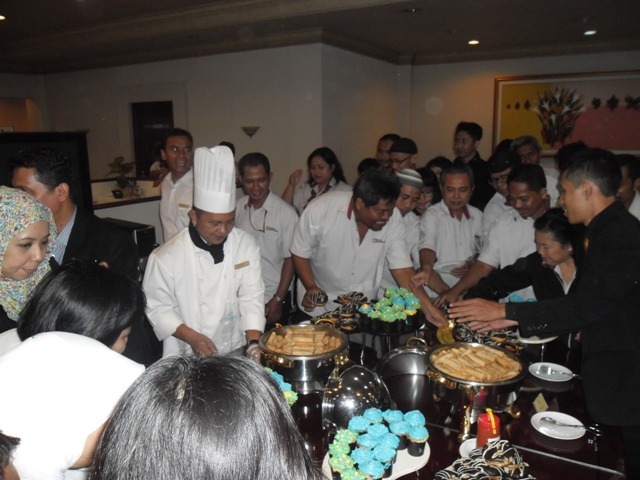 As usual, banquet team prepared a coffee break to serve during the event, followed with raffle draws to win stay and dining voucher at The Media Hotel & Towers. 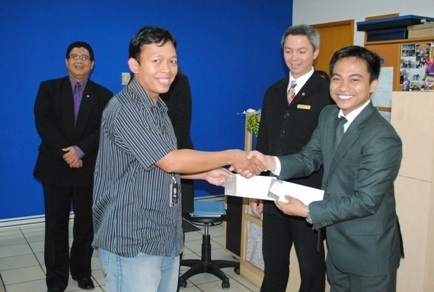 Warm welcoming speeches delivered by Managing Editor Kompas.Com Tri Wahono and Senior Travel Desk Editor Made Asdhiana. 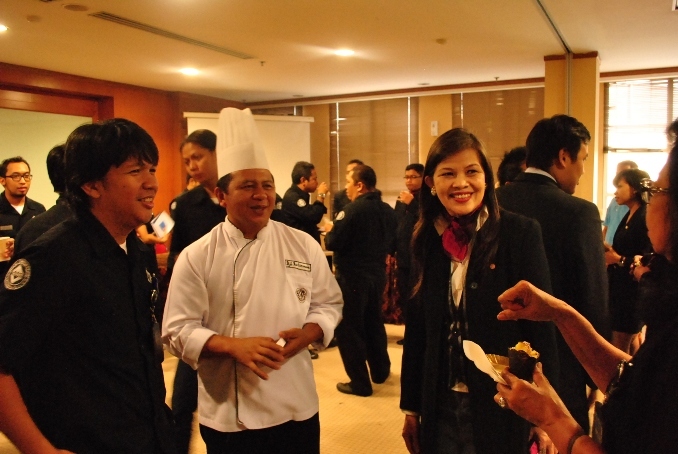 The event continued with casual discussion about the future of hotel, restaurant and tourist industry in Indonesia. 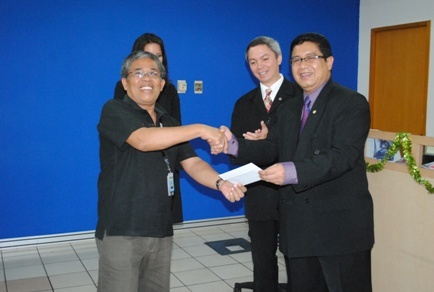 Director of Human Resources The Media Hotel& Towers Agus Rojali had the opportunity to express his gratitude for supports demonstrated by Kompas.com in publishing promotion and travel news about The Media Hotel & Towers for the last one year. 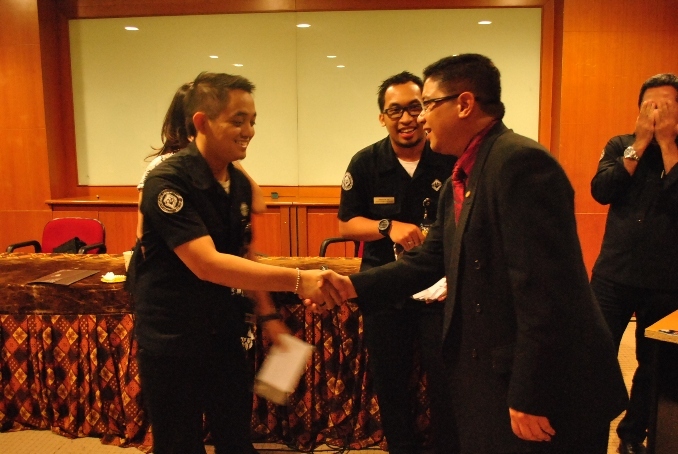 By creating mutual partnership, he hoped both organizations sustain even greater cooperation in the future. 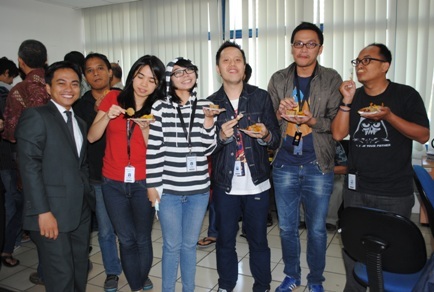 Seen in the pictures, activities during the Media Fam Visit to editorial office of Kompas Cyber Media or familiar with KompasDotCom. The Media Hotel & Towers Jakarta recently visited to the editorial office of Media Indonesia daily newspaper at Kebun Jeruk, west Jakarta. It was part of regular media relations activities with the aim of building and maintaining relationship with media companies in Jakarta. The event was held lively and everyone enthusiastically participated in the afternoon gathering with warm and cheerful atmosphere. 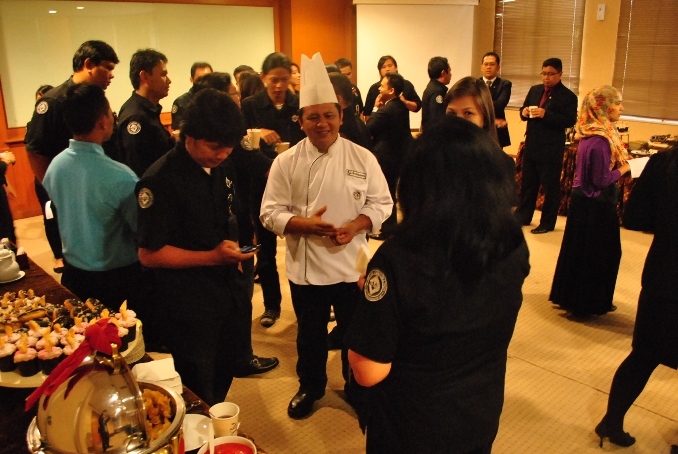 Most associates at the Media Indonesia daily newspaper like coffee break menu prepared and served by The Media Hotel & Towers’ banquet team. “It looks colorful and delicious and we enjoyed them very much,” said Siska Nurifah, one of the Media Indonesia’s lifestyle journalists. The atmosphere was even more cheerful when one of the senior editors shouted “It’s time for raffle draw..!” and everyone stood up and got closer to wait for their luck. During the visit, The Media Hotel & Towers brought some door prizes to raffle draw, which included a stay voucher and three vouchers of Weekend Dimsum Buffet at Dragon Court. “This visit is a form of our appreciation to mass media companies and everyone who dedicates their life in media industry. We hope we have strong, good and long-term relationship with the mass media, who have been supporting tourism and hotel industry”, said Algamar Idris General Manager The Media Hotel & Towers. The Media Hotel & Towers has recently conducted Media Familiarization Visit to editorial office of Koran Seputar Indonesia or well-known as Koran Sindo, one of the predominant national daily newspaper in Jakarta. The Media Hotel brought a theme “From The Media to The Media”, where the hotel pledges to carry out series of roadshow to visit major national media companies in Jakarta and surounding. The visit aims at establishing strong relationship between the hotel as part or tourism industry with mass media industry. General Manager Algamar Idris said journalist and its company is one of the major torism stakeholders that has significant roles to support tourism and hotel industry in Indonesia. “We are aware of this strategic role and therefore we would like to build good relationship with mass media and hence this activity is one of our efforts to implement,” added Algamar. General Manager The Media Hotel & Towers Algamar Idris (centre) poses together with Editorial leadership team of Koran Sindoa and management of The Media Hotel & Towers.